Norway is definitely one of the travel spots that is in my mind for quite a while. While I adore the beautiful landscape and architecture, it is depressing to live in a place that is drowned by long dark and cold winters. The town of Rjukan is constantly shrouded in the shadows by their surrounding mountains for at least a good five months a year! Determined to receive the blessing of sun rays to attain some light during the gloomy dark weather, a new innovative plan is created. 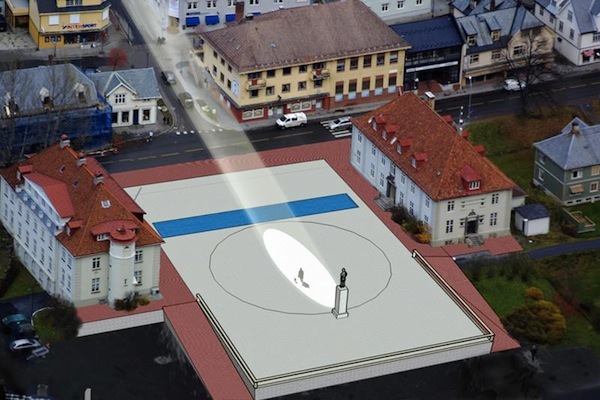 “Mirror Project” was conceived by installing gigantic mirrors on mountains and having sunlight reflected directly into the town square. 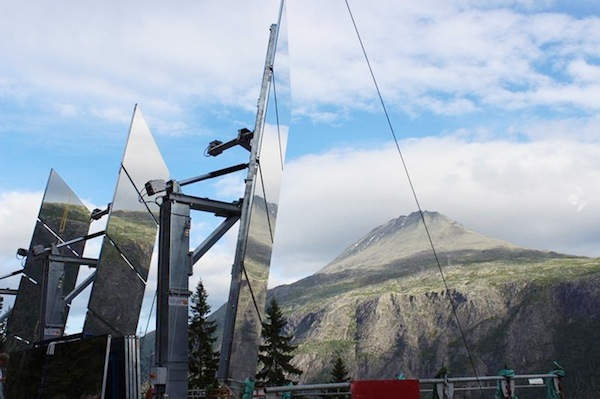 The mirrors have already been mounted and the project is going to be tested in September. When the sun retreats, it would be the most ideal time to try this new experiment. Living in the sunny island of Singapore, I have never experience the dreary cold dark weather. 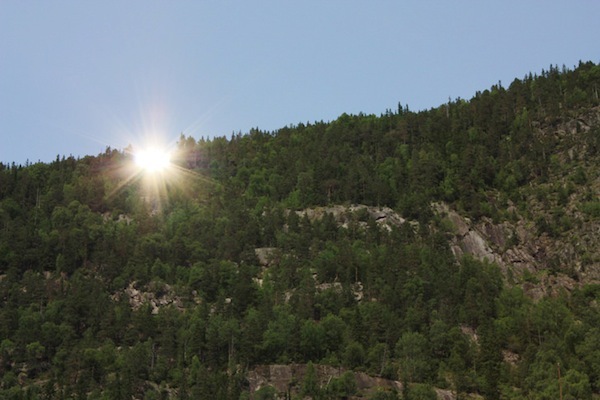 I would pretty much understand how eager the residents of Rjukan would be to see the sun during dark winter months.